If you haven’t signed up for Amazon Local you are really missing out. You can save up to 75% at restaurants, salons, and other businesses in your hometown. See where Amazon Local is now and sign up to get free deal e-mails when we’re in your city. 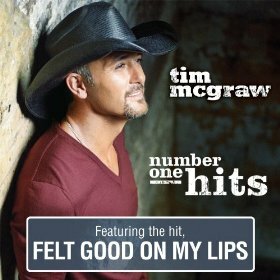 Check out this sweet deal on the Number One Hits by Tim McGraw for only $5.99 on MP3. This album is full of awesome songs! The regular price is $22! Note: Amazon Prices can change at any time! Amazon has Cuisinart 726-38H Chef’s Classic Stainless 14-Inch Stir-Fry Pan with Helper Handle and Glass Cover for only $27.95 SHIPPED (was $100) that is a $72 savings. Cuisinart Chef’s Classic Stainless Cookware makes everyday cooking tasks a pleasure. Healthful, high-heat stir-frying requires minimal oil and sears foods to seal in flavor, texture and nutrients. Based on the popular digital app, this game is great fun for two to four players! Draw mission cards and then build structures, launch birds, and knock down pigs to win lots of points! Please keep in mind that Amazon Prices change without notice. Bring fun back into your kitchen with the Hello Kitty Ice Cream Maker. Now you can make your favorite frozen desserts, as well as some of Hello Kitty’s delicious recipes, in no time. After the initial freezing of the inner bowl, fresh ice cream can be made in less than 40 minutes. Just pour all the ingredients into the machine and sit back and relax while the work is done for you. If you want to mix it up, there is a built-in funnel on the lid to make add-ins easy and mess-free. While the ice cream is churning, you can incorporate different flavorings, candies, fresh fruit, and more- whatever satisfies your craving. Have delicious, homemade ice cream, frozen yogurt, or sorbet at your fingertips with this exciting new appliance.